This is second of a two-part entry on the evolution of weapons icons as seen in the Wipeout franchise. Reading the first part is not essential to understand the second, but will provide some additional perspective. Read The weaPons of wipEout (Part 1). Opposed to tDR, Good Technology has a less easily documented legacy, their notoriety in the design world is not quite as groundbreaking. Now known as VML London, the company is still active (as opposed to tDR which effectively “closed” in 2009) today and even continues to work in the gaming arena producing campaigns for Microsoft and the Xbox Live service. In general, VML/Good Technology’s current portfolio lacks any real cohesive identity. This is a plus or a minus depending on the criteria you’re using to judge. As a marketing firm, this is preferable as it demonstrates their ability to adapt to a client’s needs and produce content that is appropriate for them. Conversely, it means that no one “true” aesthetic emerges as a result. In the case of The Designer’s Republic, their work too changes with time and place, but overall several visual themes, styles, and inspirations are clear. It’s this particular reason that when I first heard that Wipeout Fusion did not involve the work of tDR my heart sank a little. As the sort of person who writes a blog that examines the graphic design of videogames and having once been a teenager (i.e. – full of strong, esoteric opinions), I can tell you that the news of The Designer’s Republic parting ways with the Wipeout franchise, two key inspirations for me, caused me to write-off Wipeout Fusion almost immediately. For the purposes of this article, I dug out a copy Fusion just to make sure I was still familiar with the game and its aesthetics. I found that what I’ve long believed to be a total misstep in the series is in fact just as competent a product as the other Wipeout titles. That still doesn’t mean I like necessarily like the icons. The early 2000s are a difficult time for me to describe from an aesthetic and design point of view. Perhaps this is due to a lack of proper perspective as really we’ve only just entered the 2nd decade of the century. That said, Wipeout Fusion to me exemplifies the kind of directionless futurism in design at the time: not quite the abstracted, Japanese hypercolors of the late 90s, and not quite the retro 80s neon that exploded all over the place sometime around 2007. As much as I wanted to dislike and believe that Wipeout Fusion is some kind of “black sheep” in the franchise it does well to maintain a consistent visual style. Rounded corners, circles, and fine lines/strokes dominate the visuals and the weapon icons are absolutely no exception. Moving away from the borderline surgical level of simplicity of Wip3out, Fusion‘s icons are bold, bright, and establish a color-coding motif that lasts to this day in the franchise. It’s usually my goal on Visual Attack Formation to complement and document positive examples of design. There are no bad samples per se to be pulled from Fusion, but seeing as how the game has a franchise record 22 different pickups across all modes of play, I am simply not going to waste everyone’s time by looking at them all. Instead I will focus on a few favorites that offer interesting depictions of classic weapons, or new additions that I feel are particularly well-executed. I appreciate this icon if for no other reason than it looks like the depiction of a rocket chassis as viewed directly from behind: three “spokes” representing fins and the center dot the exhaust cone propelling the weapon forward. The lack of a connection between the 3 dots seems to reinforce that while rockets now fire in groups of 3 again, they do so sequentially as opposed to simultaneously, this motif has remained largely unchanged since Wipeout XL. I like that the autopilot icon retains a triangular or “A” shape throughout the franchise, here we see the triangle-ship being buttressed along by three parallel lines, keeping the craft on-track. My layman’s understanding of what a “plasma” is tells me that its electrical charge is roughly zero. Remnants of high-school chemistry let me know that this seems to depict a nucleus surrounded by two particles, ideally one positive and one negative Sometimes I wonder if I read way too far into these things. I’m including this because of its relative similarity to the Rockets icon, albeit with depicted connections between each “grenade”. Appropriately so as the Grenades weapon fires all 3 simultaneously rather than in sequence. Important to note at this point as the weapon becomes a series staple with Fusion (as opposed to its hidden nature in XL/2097 and team-specific use in Wipeout 64). To me, the icon resembles a top-down view of a turret, the barrel of the cannon pointing upward (forward) from its rounded base. This one is actually quite clever. Instead of firing on the nearest forward or rear opponent, the Hunter Missile heads straight for the race leader. Offset from the center, the square target area appears to be caught frozen in mid-search. If this icon were animated you would see the square bouncing about the space, anchored on each side by a line, searching for its prey. As with other installments in the series, the other icons are not poor examples of design. Many of them offer neat, clever, and concise little packages of visual information. Some of which are a little “on-the-nose” (Super Missiles being the Missile icon with an additional “super” line), or variations on already established motifs (the Shield icon is still essentially a central object protected on all sides by shapes/lines). I am not being too obvious by saying I do not as a whole care for the icon design in Wipeout Fusion. The chunky ultra-modern style of previous installments seems to fit the universe more appropriately than fine line-art. Thankfully, it seems Studio Liverpool agrees with me (partially) as the next installment of the series attempted to “return to its roots”. Wipeout Pure is a game of two distinct “firsts”. It is the first title in the franchise to be on a handheld device and is the first title to be developed entirely by Studio Liverpool. This is interesting for at least one reason. In the early 90s, Psygnosis believed that in order to really conceptualize and build a believable and visually interesting future society that a world-renowned design firmed like The Designer’s Republic was needed. Approximately 10 years later the studio, undoubtedly utilizing some of its previous experience with tDR and Good Technology, designs the entire product on its own. The result of which, and each successive Wipeout game since, has been at least of a quality similar to their past collaborative efforts. To me it’s fascinating to think that what was once considered “toys for children made by computer nerds” and required the expertise of outside individuals (graphic design) to complete, now employs people of similar expertise in-house. Now the reason I say Studio Liverpool relied on its past experience comes with the design of Wipeout Pure. At the time, it was announced the game would feature a refining and streamlining of game mechanics so as to return to the “pure” essence of the Wipeout formula. Overall the title is vastly reduced from a comparatively “bloated” Wipeout Fusion: menus are more simple (Fusion‘s are busy and animated), the number of weapons is a paltry 10 down from 22, and the game revisits the ultra spartan style of tDR’s Wip3out icons. I particularly like this version of the Shield icon as it feels like the two halves have come down /up and enveloped the “ship” bump in the middle. Like a futuristic sandwich. Like the previous version, this depicts a static center with two orbiting elements. In this case, the icon reminds me of those novelty “plasma balls” you can buy at Spencer’s Gifts or in-flight magazines. The in-game effect for this weapon is similar in appearance as well. As a designer, I understand the need to differentiate yourself from a source of inspiration so as to appear like you’re not simply copying an existing idea and to put your own personal touch on a piece. However, in the case of Wipeout Pure, two of the icons, functioning as intermediaries between player and in-game mechanics, have always given me a little pause. In Wip3out this icon depicts a straight line of 5 dots for 5 mines that deploy in a line (or curve if the ship is banking) from the rear of the ship. In Pure this mechanic is unchanged yet the icon now shows 5 staggered dots. Aside from “being different to be different” the only logical explanation I can think of for this is that with the vastly reduced viewing screen of the PSP vs a home console on a television, the icon needed to be more “vertical” and easy to sight-read on smaller screen. A weapon of this kind is not found in Wip3out, as such an icon needed to be created. The Disruption Bolt in Pure randomly causes one of several effects to occur, rendering control of the craft difficult. Visually the icon looks appropriate enough, a straight line is deviated (disrupted) from its path and sort of splits off into another direction. The problem for me is that this icon is far too reminiscent of the Missile pick-up icon from Wip3out. Both are projectiles but for some reason it took me awhile to remember what this weapon did. Despite any issues I have on the function of the iconography of Wipeout Pure, the form retains the same heightened minimalism from Wip3out quite well. As with Fusion before it, I was a little apprehensive about SCE Liverpool’s ability to design a Wipeout game without the assistance of tDR, or even an outside design firm at all. Not only was the game fantastic from a mechanical point-of-view, but had I not known any better I would have assumed that the aesthetics were handled by an outside team of graphic artists. Which brings us to our final installment and the latest entries in the Wipeout franchise. For the purposes of this article, I have grouped the last two (three if you want to be technical) Wipeout releases together. 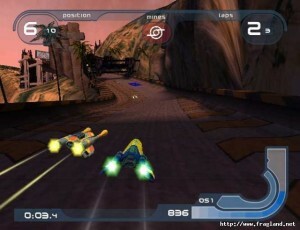 For all intents-and-purposes Wipeout HD and its add-on Fury is a high-res anthology of the two PSP titles (Pure and Pulse); they feature similar visual styles, identical pick-up icons, and near identical weapon sets. At this point, its hard not to say that Studio Liverpool is on auto-pilot (pun intended) with the Wipeout franchise. It’s also a bit strange to explain that opinion is a complement and not a criticism. The studio has managed to maintain such a consistent level of great visual and mechanical design with the series that it’s almost “expected” that a new Wipeout title is going to look great, sound great, and play great. It just sort of…happens. Which is why its a little disappointing that for Pulse and continued in HD/Fury, the icon designs have partially reverted to the more “line-art” style of Fusion; almost totally rejecting the heavier, blocker designs of Pure, Wip3out, and XL/2097. It is also with Pulse/HD that the icons become square in their ratio again (ratio, not shape), changing from the “widescreen” format consistent across the 3 previous entries. Of interest, and an uncommon move on the part of a developer, SCE Liverpool includes the option of using either the Wip3out or Wipeout XL HUD in Wipeout HD. 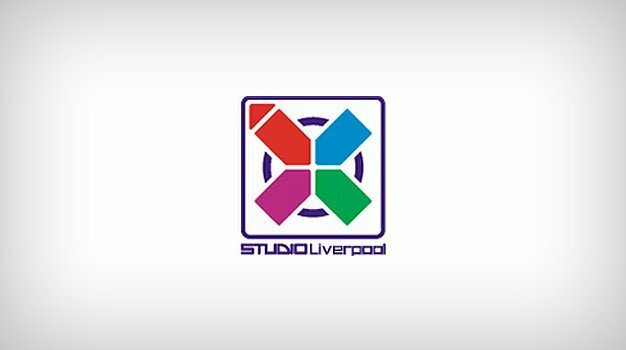 It’s a small, perhaps unnecessary gesture, but a reassuring sign that Sony and Studio Liverpool are at least aware of the Wipeout franchise’s legacy amongst its fans. Curiously though, it seems that their HD HUD recreations do not exactly replicate the originals. A detailed post about these discrepancies among others can be seen here in this Wipeoutzone Forum thread by AG-wolf. The color-coding remains largely unchanged from Fusion and Pure. It’s a bit of information design that attempts to make the sight-reading of icons easier, but its the shapes not the colors that usually making the difference. This time, in keeping with the hexagonal shape of the icons (and the game’s 2D polygonal UI design), curves and circles have become segmented and angular. In other words, all the circles are now hexagons. These schizophrenic icons revert back to near identical versions of their Fusion appearance. Along with the Mines icon is the small change from circles to hexagons most prominent. Despite the love I have for the ultra-spartan look of the Wip3out and Pure icons, this and the XL/2097 version of this icon are more functionally appropriate In other versions of this icon, motion is implied horizontally despite the fact that the track moves vertically toward the player from the top/middle of the screen to the bottom. This icon conveys “extra speed” along with depicting the motion in the appropriate direction. Interesting if only because this icon sort of straddles a middle ground between the Fusion and Pure versions. It still depicts a dot “ship” keep on track by the “A”-shape line around it. The harsh critic in me wants to dislike this icon for representing one of the series’ most notable weapons with two skinny lines. However their parallel alignment reminds me of the readout from a Richter scale. This association is likely unintentional. Largely the icons for Wipeout Pulse, HD, and Fury remain close to their Fusion counterparts with few exceptions. As with other entries in the series that I am personally not as “thrilled” about their execution is near flawless and functionally range from competent to great. 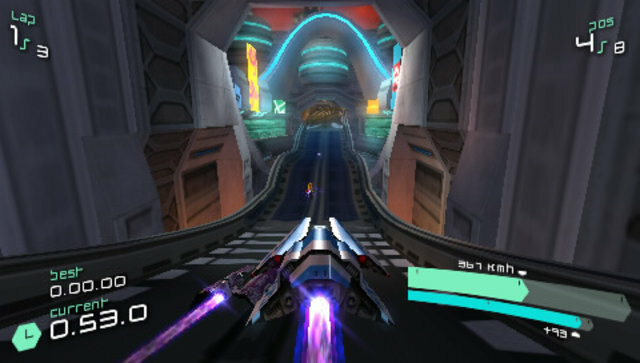 The Wipeout franchise has long been a hallmark of great visual design. Each entry in the series has become a showcase for studied, talented and thematically consistent futurist design. 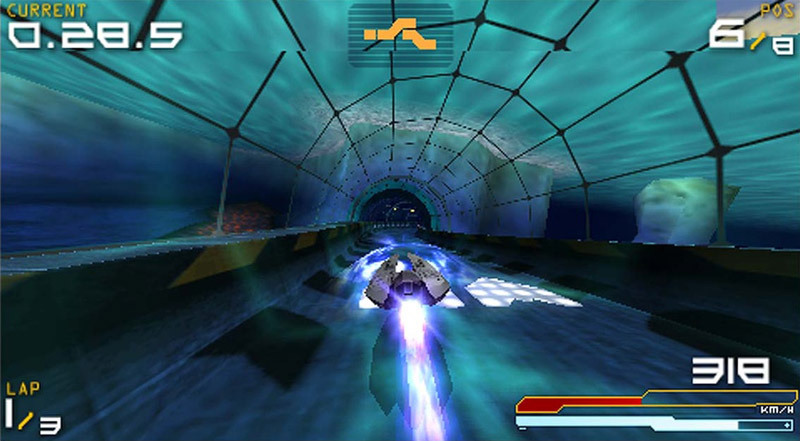 Pioneering several concepts that live on in other games and franchises today, the Wipeout series has never been known to rest too heavily on formulaic design and is routinely noted for its low-barrier of entry but challenging nature. Similarly, information design as a practice is not easy. To condense complicated ideas, concepts, behaviors, requests, and more into digestible bits of visually recognized design is as mentally challenging and asks as much from the creator as does musical composition, poetry, detailed sculpture and other artistic pursuits. Initially, Psygnosis combined efforts with renowned design firms to assist with their futureworld vision; breaking down concepts that don’t even exist in the real world into icons that present day players would be able to recognize and understand. As we’ve seen with the later installments in the Wipeout franchise, Studio Liverpool has managed to learn and grow with those who dedicated themselves to the art of design, and “take the reins” themselves with several of the most recent Wipeout titles. Fortunately, I’ve only picked a small slice of what makes these games so visually appealing and important and will be exploring other facets of their visual design in the future.